lol with the leightons: Howdy! How did we choose our name? 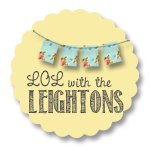 We are a mother-daughter team with the same middle name – Leighton. And, duh, we LOVE to laugh out loud. 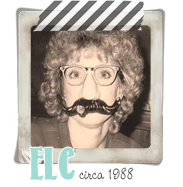 ELC (Mom) is a 57-year-old wife, mother, stepmother, Grammy, sister, aunt, friend, and mostly-retired therapist who collects diet books (each time a new box from Amazon arrives, she swears that book will be the next-to-the-last one purchased) and never leaves her house without a little lipstick and her earrings. One of her dreams is to sing the National Anthem at a big sporting event someday (only her family knows this – and she isn’t known for singing – but she’s been practicing periodically – one night her hubby even told her she was “getting better”). TLC (Daughter) is a 27-year-old Etsy-addicted, Twilight-loving, newlywed who works in the financial industry but has a Fashion Merchandising degree. 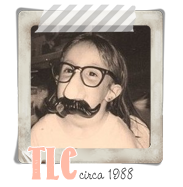 TLC drives ELC bonkers because she’s constantly reaching for plain ol’ Chap Stick instead of a little “Apple Cordial” by Estee Lauder (ELC swears it just “brightens your face!”). TLC’s dream is to be a country western singer when she grows up (this comment always causes TLC's hubby to burst into a smirk each time she tells him this – which usually occurs while she’s wistfully watching an episode of Glee or American Idol). ELC lives in a small country town southwest of Fort Worth – TLC in a big suburb of Dallas. We’ve been emailing each other with words of encouragement for almost 6 years, once TLC graduated from college and moved to the Big City. We believe we’re honest, hopeful, sometimes sweet, often sassy, and always candid. We love to learn – from each other, from family and friends, from what we read, what we listen to on the radio and television, and what we find on the Web. Like everyone, we’re just trying to figure this challenging world out – on our own and with each other. We hope, along the way, to make you have a giggle or two! We’ll try to post at least three times a week. Sometimes more, perhaps. Of course, life has a way of interfering with the best laid plans. We’re very excited about this new adventure and have already started planning fun posts we are anxious to share. Please join us – whenever you can – for laughter, discovery, communication, transformation, clarification, fashion, food, style, helpful tips about how to be chubby but happy, and maybe some wisdom – with a touch of silliness! Love you girls and I'm looking forward to reading you.